Bonded Curve Tokens have all sorts of applications but the details of building them are tricky. 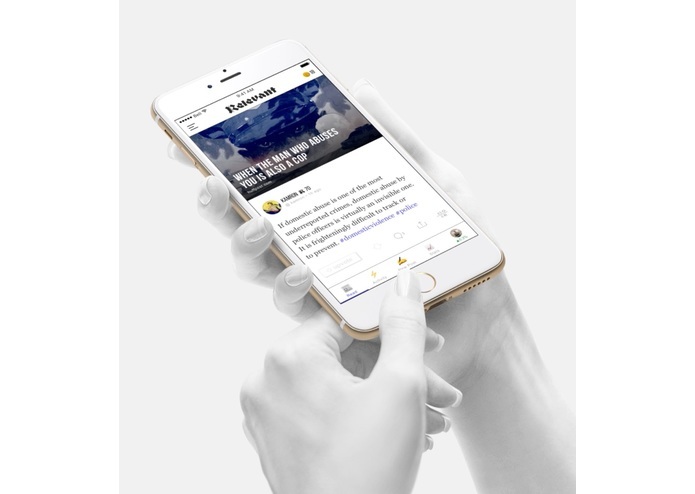 Relevant is a reputation based social news reader that plans on launching bonded tokens for different communities and rewarding participants via inflation built into those tokens. This is an especially tricky application of a bonding curve token so we wanted to make an easy to understand interface to help illuminate the use of this dynamic. The product is a react component that can be included on a website or in an app. It allows you to test parameters of any bonded curve token as well as buy and sell from an already deployed bonded token contract. The component was built with react and it was integrated into Relevant, also using react. it was difficult building in an inflation model that had a fair balance between network participants and network investors. Finally being able to easily buy and sell bonded tokens. 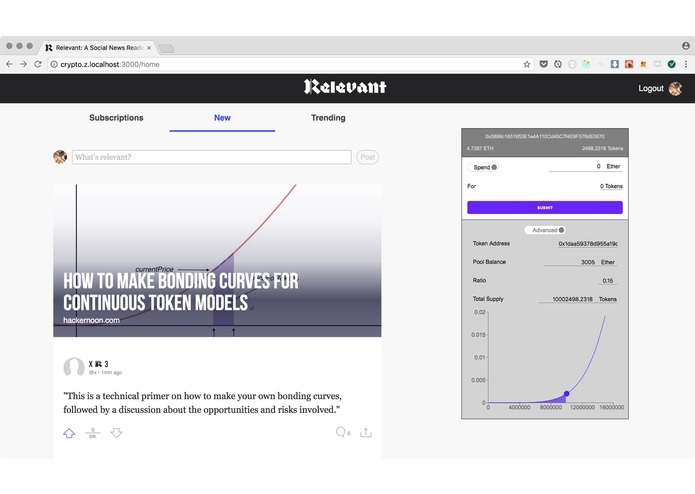 Educating current Relevant users on how to interact with the Bonded Curve Tokens, and extending the component for deploy from browser.